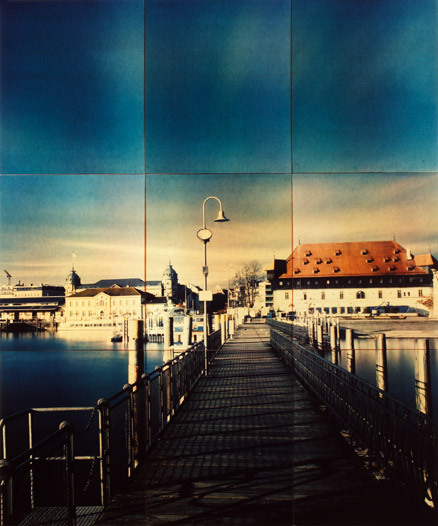 'Konstanz, 19 January 2008' and 'Bodensee, 20 January, 2008' were made in 2008 in the Southern German city Constance. 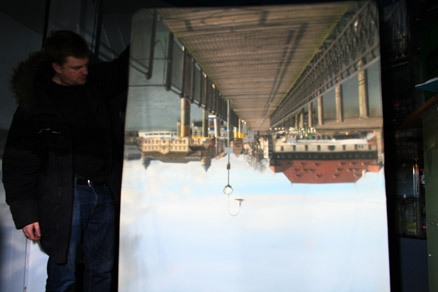 With the use of cardboard, blackout cloth and a simple lens the small building at the entry to the port was transformed into a camera obscura. 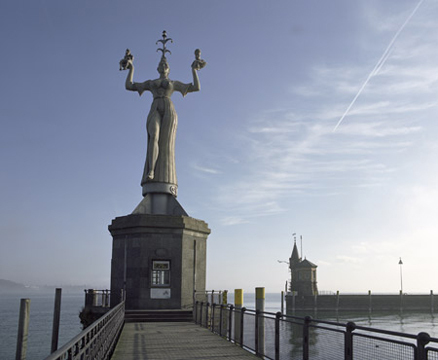 The building has multiple uses: it is used by the government in order to measure the depth and temperature of Lake Constance (Bodensee) as well as serving as the base to the huge 10 meter high, 18 tonne revolving sculpture of Imperia (created by Peter Lenk and erected in 1993). 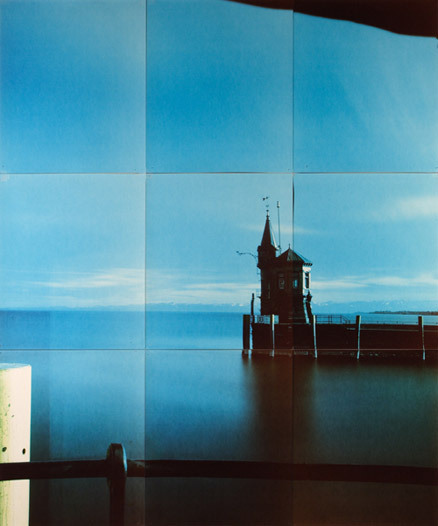 It is also the lookout spot for the thousands of tourists who come to admire the view across the lake towards the mountains in Switzerland and Austria. 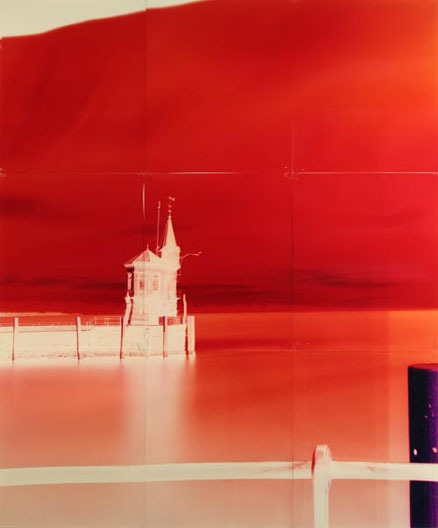 In pitch darkness sheets of colour photographic paper were pinned up opposite either window of the building and exposed through the small aperture to create a negative photograph. 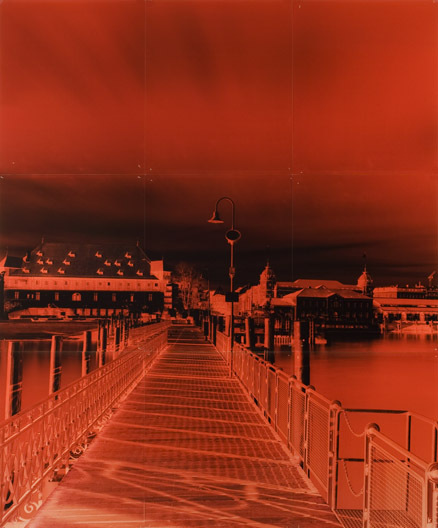 These pictures were subsequently used to create photographic positives. 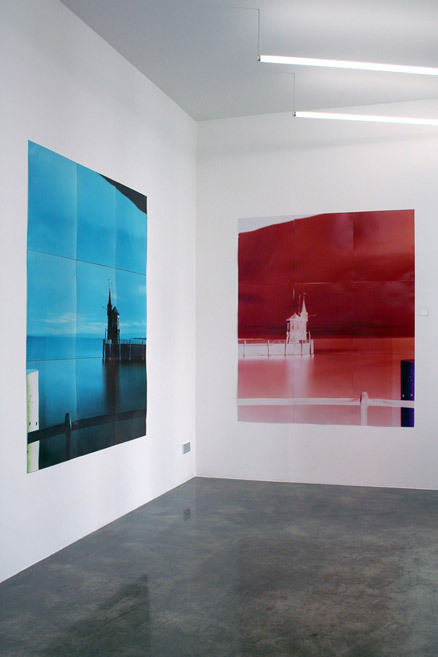 The images were originally made for an exhibiton 'Menschen und Orte' which celebrated the 150 year anniversary of Kunstverein Konstanz and went on to be exhibited in a solo exhibition, 'Ausblick' at Axel Lapp Projects, Berlin.